Tim Cook wants to make the United States a better place. But the Apple CEO doesn't think running for office is the way to do it. "I don't see it," Cook told CNN's Laurie Segall in an exclusive TV interview, when asked about getting into politics. "I love getting things done. And I don't love the political machine in the background, regardless of which party is where." Cook has used his position as one of the highest profile CEOs in the world to advocate around big issues like equal rights, climate change and immigration reform. The company itself spent $7,150,000 on lobbying in 2017, more than it had in any previous year, according to lobby spending database OpenSecrets. Other impassioned CEOs have gone the political route, including former New York City Mayor Michael Bloomberg. Earlier today, Starbucks (SBUX) executive chairman and former CEO Howard Schultz said he was stepping down from the company. He told the New York Times he wasn't ruling out a run for office and that his options "could include public service." However, Cook doesn't see politics in his own future. "I'm not political," he said. "I'm not sure I would really do well in that environment. I think that I can make the greatest contribution doing what I'm doing." One issue he has long been vocal about is immigration. 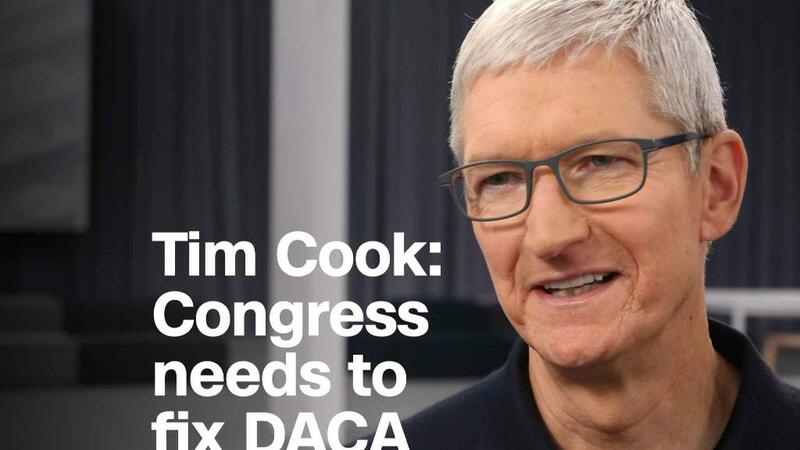 Cook is a supporter of DACA, the rescinded Deferred Action for Childhood Arrivals program that offers protection for people brought to the United States illegally as children. "Congress needs to fix DACA, and fix DACA to me means allow everyone to stay in the country and stop this ridiculous discussion that people brought here as kids shouldn't be allowed to stay here," said Cook. He also said that the US needs to address the problem of backlogged Greencard applications. This has left people in limbo by not knowing if they will be able to stay in the country. There is a business reason for supporting immigration reform, as well. Skilled immigrants are vital to Silicon Valley tech companies, including Apple (AAPL). "As a country we should have a goal of having the smartest people in the world here," Cook said. "That's what is great for America. More jobs will be created and all the rest. So I'm a fan of an open — and I don't mean open border — but a very open immigration policy that does allow the best and the brightest to come here." He says his predecessor Steve Jobs made sure human rights were part of Apple's mission from the start. "That was his philosophy," said Cook. "That is the DNA of this company, that Apple should always be trying to change the world, and change means make it better." 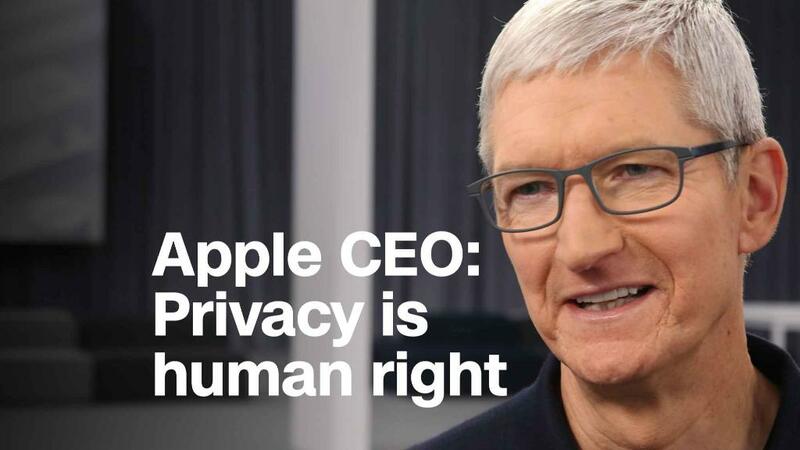 Cook said the company's support of LGBTQ rights are just part of the larger Apple philosophy to treat "everyone with dignity and respect." It's a goal he hopes the rest of the United States can also meet. "We've struggled as a country and before that, as to arriving at that spot where everyone is truly treated equal," he said. "We're not there yet. But I have to tell you, I am so optimistic about America. And I think over the arc of time, it will head toward a great place."